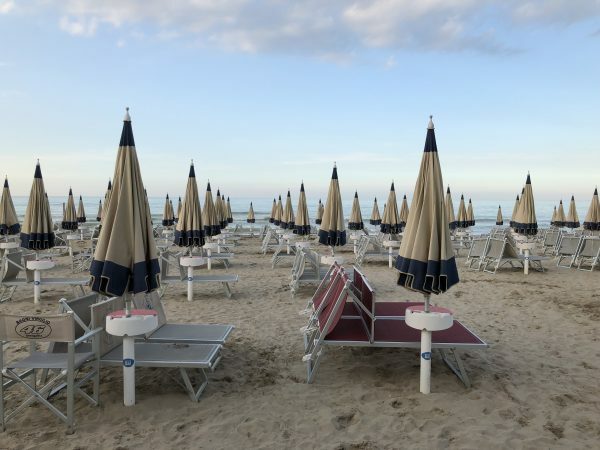 Some regions of Italy are known for their beautiful coasts. Places where you spend long summer holidays relaxing on the shore with the sound of the sea in the near distance. The region of Le Marche is such a place. 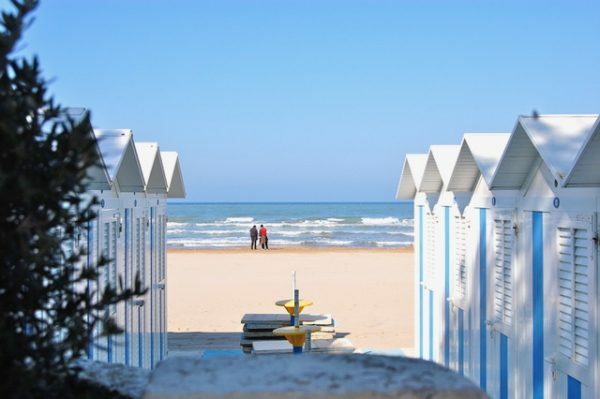 Le Marche, located on the Adriatic Sea, offers over 100 miles of coastline, making it a summer destination. 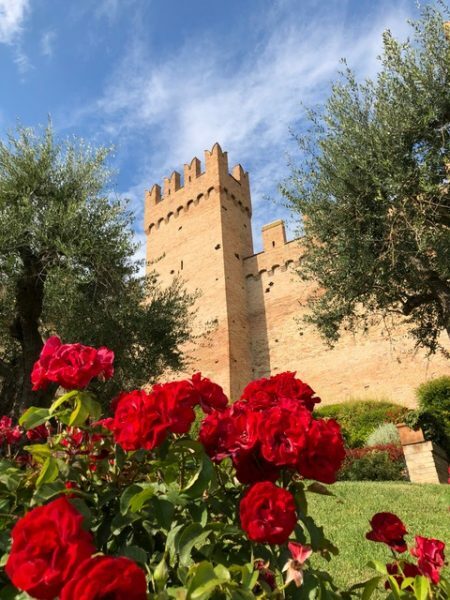 However, 25 years ago we decided to offer tours in Italy and we discovered that Le Marche is far more than just a coastal destination. 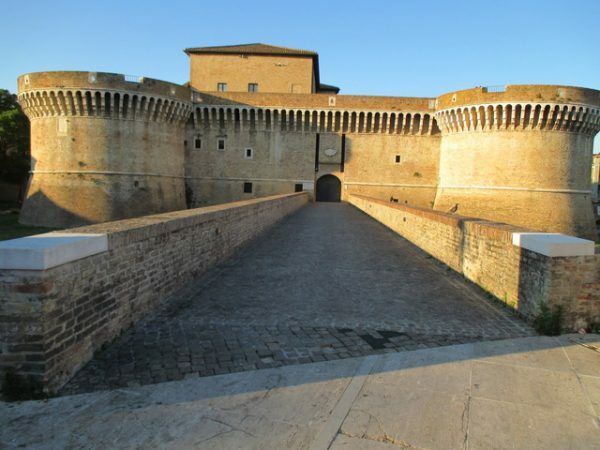 Le Marche is bordered on the north by the region of Emilia Romagna, where we live. 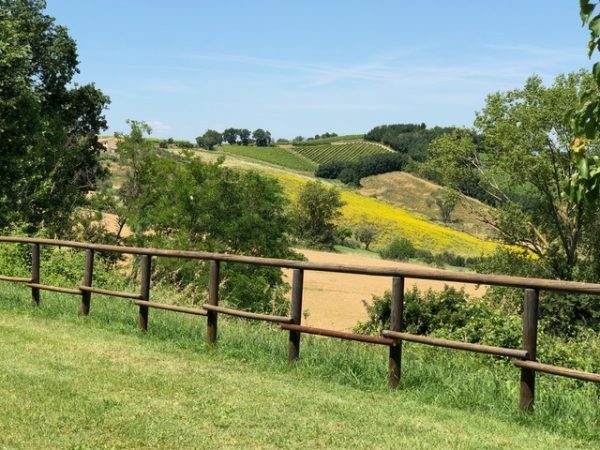 So it was an incredible discovery that the best and most wondrous part of Le Marche was hidden in the heart of the region. Smooth hills, beautiful villages, castles, olive trees, vineyards are all around with the sea framing the landscape uniquely. 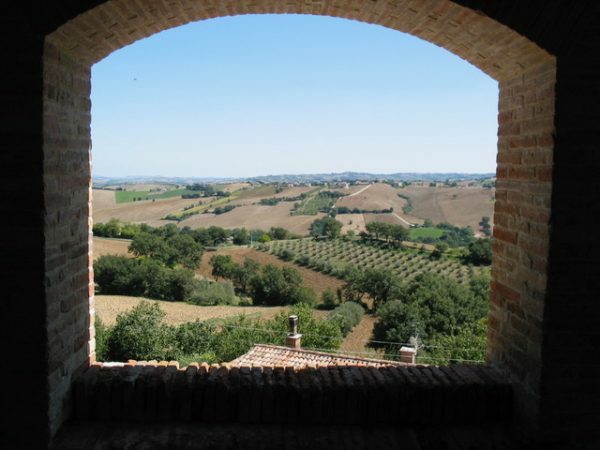 In 2005 the NYTimes wrote an article Le Marche is the next Tuscany? 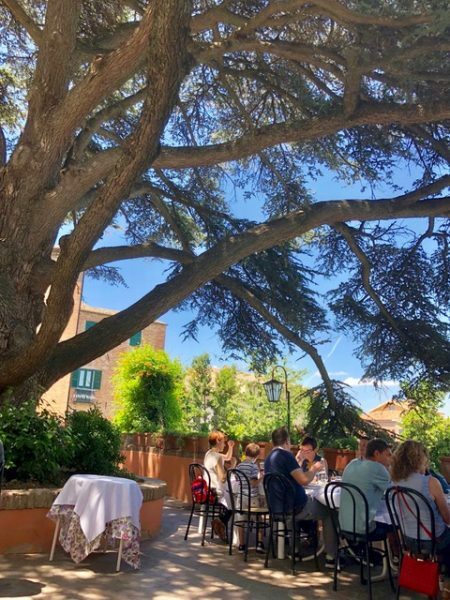 The journalist says that Le Marche is one of the right places where you can still taste the authentic Italian life, as this is an area that despite all has not been yet discovered by the mass tourism, like Tuscany. 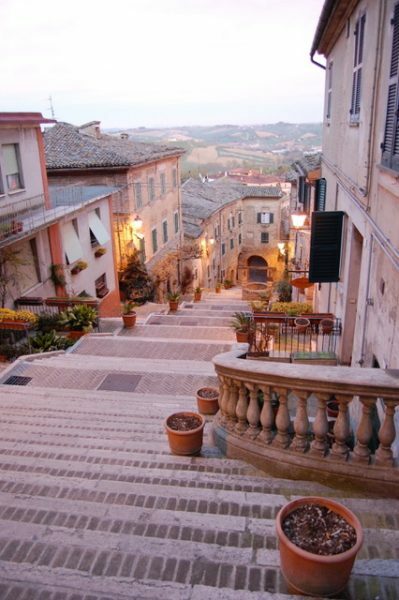 Travellers who want an authentic Italy would love to visit Le Marche! 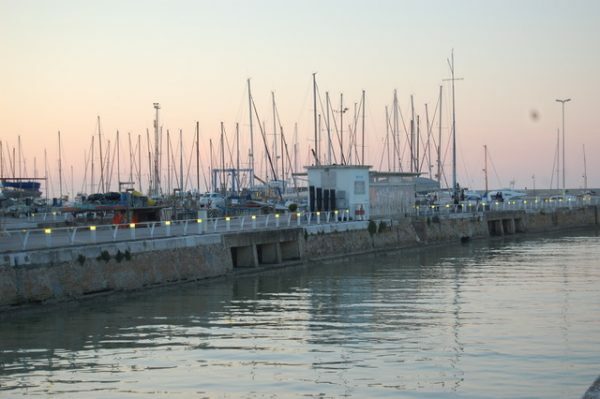 The capital of Le Marche, Ancona, is an important port for passengers and commercial exchanges with Greece, Croatia, Albania and other destinations. This Italian port features magnificent cliffs jutting into the sea and a strong Greek architectural influence. 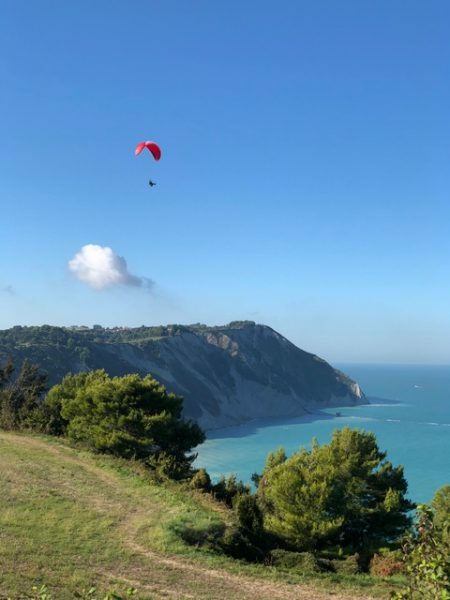 Le Marche has given birth to Raffaello, the Renaissance painter, Gioacchino Rossini, the famous composer, Giacomo Leopardi a great poet and Maria Montessori, the famous pedagogist. 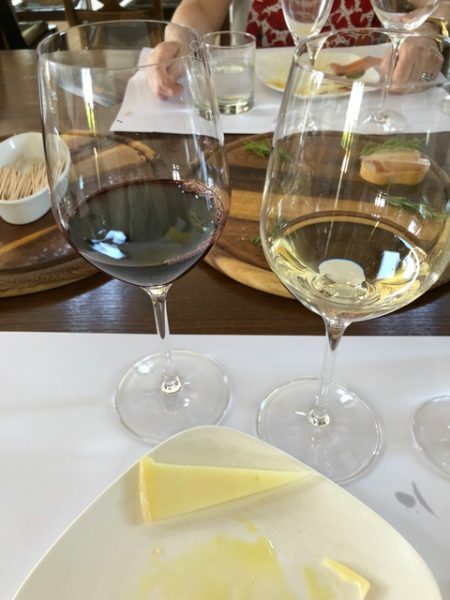 The DOC wines offered in they region are Verdicchio, Rosso Conero and Lacrima di Morro d’Alba. Verdicchio, which is the most important white wine from the region, pairs perfectly with the bounty of local fish and seafood. Rosso Conero and Lacrima di Morro d’Alba are very good red wines that take in the flavours from the surrounding hills. Recently Pecorino (DOCG) and Passerina indigenous white wines have risen to great appreciation. 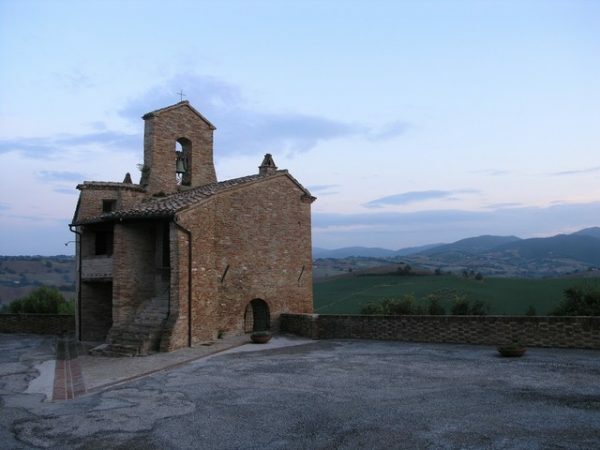 The relaxing landscapes with gentle hills and the kindness of the people will make you feel part of the Italian life. Cereals are one of the biggest cultivations. Do not think about big fields with massive production, here they grow the cereals that their grandparents grew, without chemical additions in a very small organic production. In 1977 Le Marche gave birth to one of the first organic enterprises in Italy. Bread and pasta are produced in an artisanal way, so you can taste the mouthwatering flavour of the genuine flour. 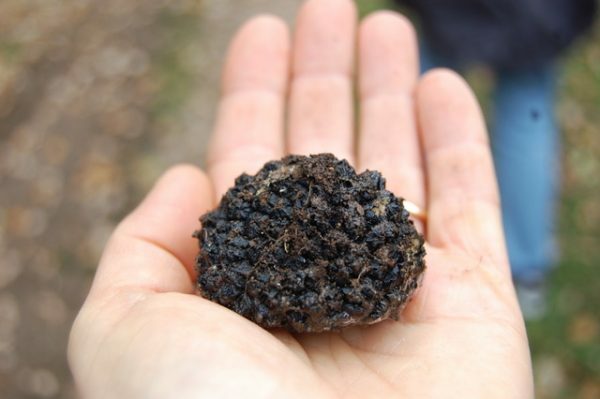 White and black truffles grow in several parts of the region along with some of the most savory extra virgin olive oil. The pork meat is very popular and in particular a special “soft salame” called “ciauscolo” that is produced only in Le Marche. Some people consider it the “paté marchigiano”, as it is spread on the bread. 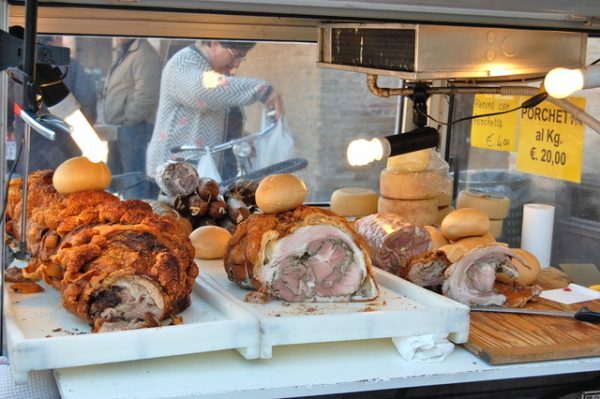 “Porchetta” is another very traditional food that is served often by local food trucks. The tradition of aging the pecorino cheese in underground caves date back to the 15th century. 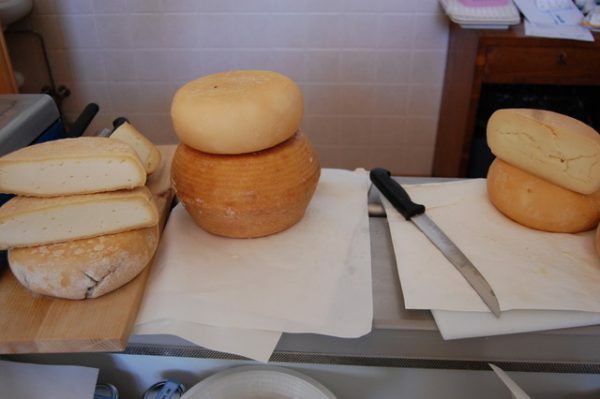 This tradition includes not only the famous “formaggio di fossa”, but other regional cheeses. 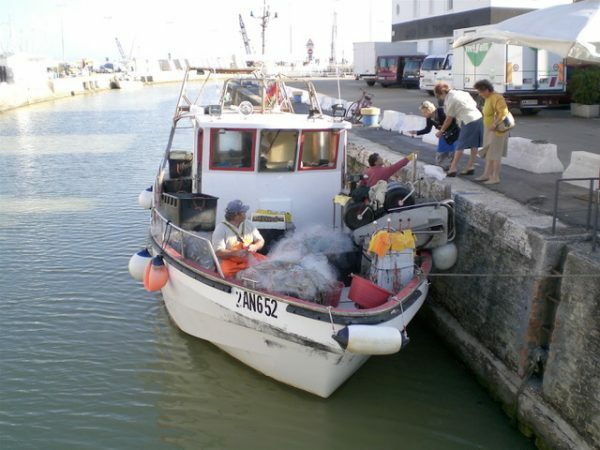 One of our favorite things to do in Le Marche is go to the port in the early morning and buy the fresh fish from the fishermen, then cook with the chef maybe “brodetto”, the tasty fish soup traditional of the region. To finish any culinary experience, Le Marche offers a special wine, Visciola, that is made from cherries and completes the meal as a digestive. 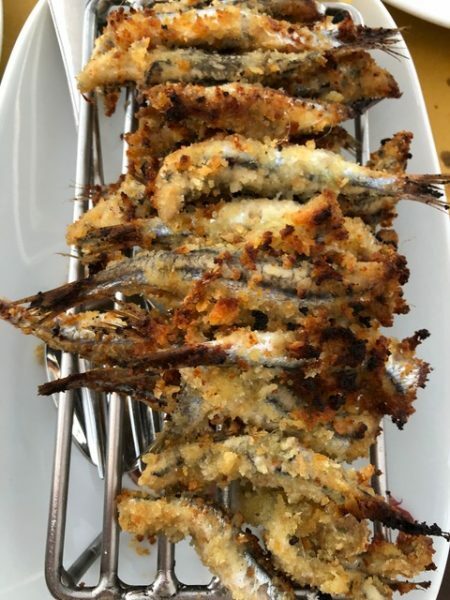 Come and taste our Italy and discover the Le Marche region on our Le Marche Fish Tour, 23-28 June 2019. This tour is also available upon request in other dates from April to September. Contact us if these dates do not fit in your schedule. 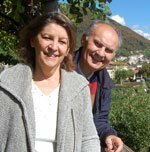 Marcello and Raffaella Tori invite you to come and taste Italy in an authentic, up close, and personal way. 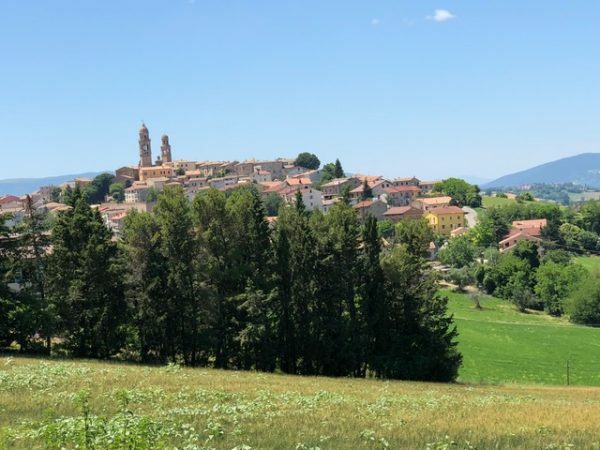 Everything is arranged, from food and wine tastings to cooking lessons, walks in the countryside and meanders through beautiful villages. 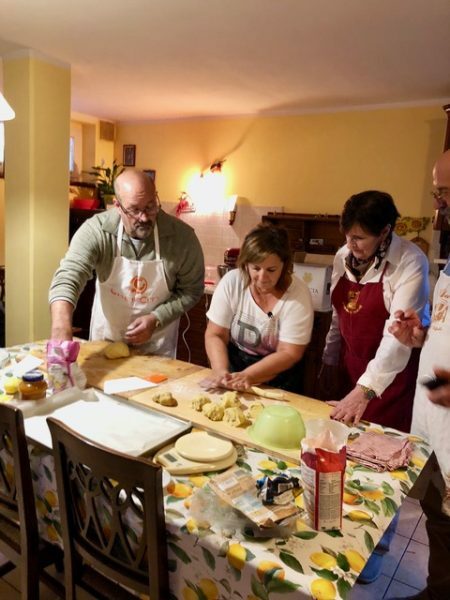 Marcello and Raffaella live in Bologna and have over 20 years of experience working with people just like you who want to taste all Italy has to offer. Their unique experiences are enduring in their simplicity and authenticity. 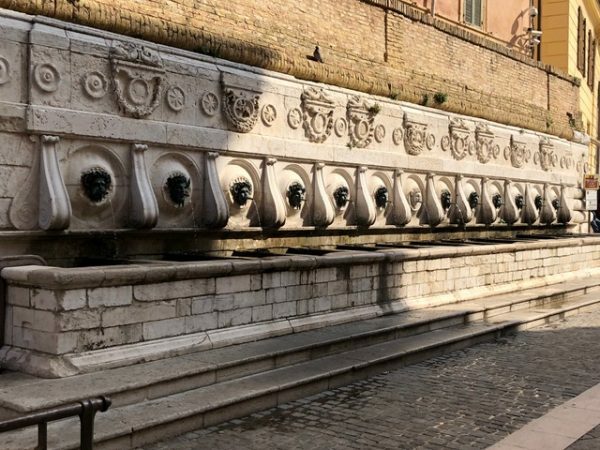 Join us for a day trip or a 4-7 day tour and taste and see amazing Italy through the eyes of Marcello and Raffaella. What are you waiting for? 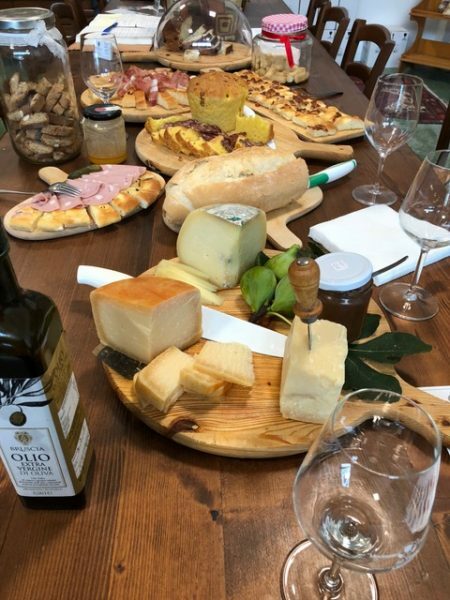 Come and Taste Our Italy! Find our more at bluone.com and follow us on BluoneCookingWineToursItaly/.